Audio with Video. Doug Smith, VP of the LASD board, presented a framework for a tentative LASD BCS agreement, that, once its details are finalized and it is signed, would be in place for 10 years. This is the long-term solution. Smith said it allows LASD to focus on curriculum innovation, rather than yearly facilities negotiations. LASD enrollment [including BCS ] is now at 5,000 students, 1,000 more than a decade ago. This will be a 10 year plus agreement. This means than no later than August 2014, whenever or whether “the” bond passes, BCS will move into one of the four sites. In the tentative LASD BCS agreement, BCS guarantees it will enroll at least 400 students each year. BCS can grow its enrollment. After the first 10 years, BCS has 5-year options to remain on the site. BCS will not ask for more or different space for 10 years. BCS agrees to work for passage of the bond. The bond would pay for both a) a refresh of all sites and b) for building a brand new LASD campus. The location is unspecified, but Mountain View seems to be the current front-runner location. The “refresh” includes items such as 1) replacing portables with permanent buildings, 2) installation of solar power to save $500K annually, 3) other facilities work [repair/upgrade] as needed. Los Altos Politico believes that the Covington site would be the best choice for both LASD and BCS. It has much less neighborhood history than the other site. Actually, Covington Elementary is it a very recent addition, having been a closed Junior High for quite a few years. 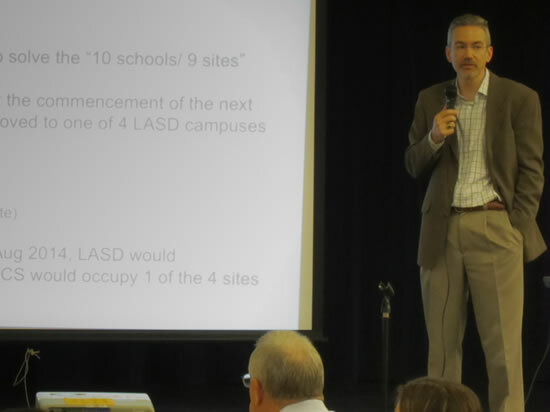 It will be the least-missed elementary school by LASD parents because it is so new as an elementary location. For BCS parents, it is reasonably close to its current students. For the BCS board and administration, it has lots of room for enrollment expansion, is 7th and 8th grade friendly, and is better located for attracting new LASD students from south Los Altos over a 10 year planning horizon. We think it is not necessary to tell long-term established LASD schools like Santa Rita to vacate. See the angst from a Santa Rita PTA member, special ed parent, in this very recent blog article. And BCS definitely should not be “awarded” the sexiest, newest 21st century site (a positive) even if it is located in Mountain View (a rather long commute for the current BCS parents). We understand the BCS contracts with the County for Special Ed service provisioning. We would hope that BCS delivery of this service would improve over time. The most likely site for the 10th school is MountainView. As Mayor Val Carpenter has been pointing out for some time, this is where the bulk of the future growth is anticipated. The City of Mountain View has approved major multi-family housing at the old Sears site at San Antonio and El Camino. 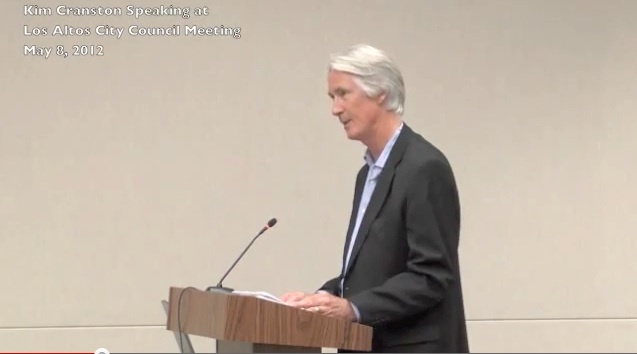 Also, the City of Los Altos, in its contribution to regional in-fill, has located those developments along the El Camino corridor, where there is proximity to public transportation. The San Jose Mercury-News had an article on the Bourn Lab at Castellja where girls build tangible things. It’s sort of like a Makers’ Faire at your school every day. 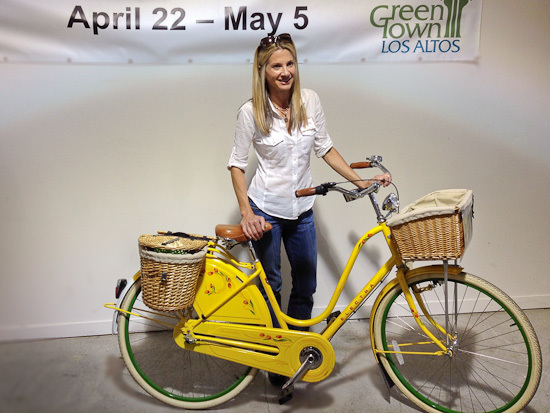 Bourn is taking its program beyond elite Castellja to East Palo Alto Academy. It is also looking to expand into public schools — how about a nice new Mountain View School? We’re pretty sure there are many other private-public options to create magnet school elements! Hey, Doug, how about some curriculum innovation? We encourage these parents to move to stage 5 as quickly as possible.